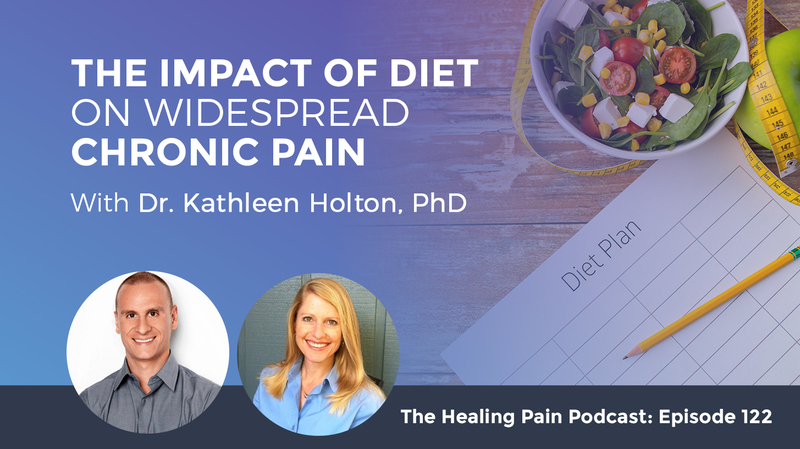 Going to the nutrition side of chronic pain is Dr. Kathleen Holton, PhD and assistant professor at the Department of Health Studies at American University. With her combined background in epidemiology, nutrition, and neuroscience, she provides a great view on the positive and the negative effects of certain foods and food additives when it comes to chronic health. Dr. Holton shares the effects of free glutamate in foods to our diet and health, while giving tips on what to look out for when shopping. On this episode, we’re talking about one of my favorite topics which is how nutrition affects chronic pain. Our guest is Dr. Kathleen Holton. She is an Assistant Professor in the Department of Health Studies at American University. She pulls from a combined background in epidemiology, nutrition and neuroscience. Her research examines the negative effects of food additives on neurological symptoms, as well as the positive protective effects of certain micronutrients on the brain. Her main research areas include how diet affects chronic pain, Gulf War Illness, neurological disorders, fatigue and cognitive dysfunction. She also studies how diet affects ADHD, a common psychiatric illness in childhood characterized by inattention and impulsive behavior. This is a great show if you’re a practitioner or someone who has chronic pain and you’re interested in knowing both the positive as well as the potential negative effects of certain foods and food additives with regards to chronic pain. If you’re a practitioner and you’re interested in becoming certified and how to use nutrition to treat chronic pain, make sure you hop on over to the IntegrativePainScienceInstitute.com. Check out the nutrition certification course located on the website. I love the work that Dr. Kathleen Holton is putting out into the world, both through her research and through education. Kathleen, welcome to the show. It’s great to have you. I’m so happy to have you on because I came across your research years ago when I was doing research for my book. I started to look into things that affect the nervous system because things that affect the nervous system have an impact on pain. I came across your PhD thesis that’s online, but I read through it and even used it as a reference for my book. Thank you for that. Sometimes when people do their PhD, they think, “No one’s ever going to read this ever again.” Nowadays, it’s out there. Thank you for that. I love nutrition. I’m a physical therapist as well as a certified nutrition specialist but I’m interested to hear how you became interested in nutrition in your life. I have to say I was always interested in health and nutrition growing up. I ended up starting my own business after I got my Bachelor’s. I did personal training, nutritional counseling and I was working with a subset of population that was working out all the time. These were the people who were at the gym regularly who weren’t seeing the results that they wanted. They would come to me for nutritional counseling. It was a great subset of the population I work with because it really showed me directly the impact of nutrition as opposed to us always throwing out there, the working out and the nutrition. I was able to isolate that nutrition. I was seeing people with all sorts of conditions. It inspired me not only to do research at the moment but then I was inspired to go back and get my PhD. My undergraduate degree was in marketing and I also focused on nutrition. I’ve worked in the fitness industry since I was sixteen years old. My focus was always on starting my own business. I got a business degree, so I know how to do that. I loved it but I have to say, I love what I do now even much more. From your Bachelor’s, did you do your Master’s first in nutrition and then onto a PhD? I have a Master’s in Public Health, a PhD in Nutritional Sciences and I focused on Nutritional Neuroscience. My major interest is in understanding how diet affects the brain and the nervous system. What inspired me was I was seeing people with chronic pain conditions, specifically fibromyalgia at the moment. Before I came across the research, I came across some people who were online and they were mentioning that they were tying their symptoms to exposure to MSG and aspartame and it caught my attention. In the nutrition world, we are not trained anything about food additives. What I did was I went to the research and I said, “Let’s see if there’s any biological possibility for this. Do these two things have anything in common?” What I found at the time inspired me to go down the path that my research has taken for all these years. 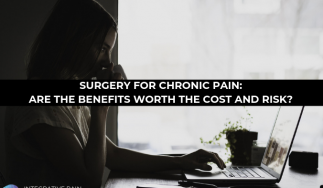 That was that free glutamate and free aspartate can and not only encourage pain, but other symptoms that commonly co-exist with pain, such as chronic fatigue, cognitive dysfunction, and sleep problems. A lot of those issues that we see together in these conditions, I found that they all had a connection to glutamatergic neurotransmission. Definitely right there are sleep, mood, pain and fatigue are a lot of the big things we see with chronic pain patients. Tell us what free glutamate is and how that occurs in the diet. What should people potentially look out for if you’re shopping and looking at packaging or if you’re a practitioner and you’re trying to do some basic nutrition counseling with a patient? Glutamate is an amino acid and so it occurs in two forms in the diet. One form is bound and that would be inside of a protein like meat. It also occurs in free forms. What I’ve shown in my research is that it’s not the bound form in meat that has a negative effect, it’s only the free form. The main places you see free forms of glutamate would include food additives. A lot of your processed food products are going to contain more free glutamate. There are a few specific foods that contain free glutamate naturally that must be avoided. Examples of that would be things like soy sauce, tamari, Bragg’s amino acids and coconut aminos, and broth, including bone broth people make from scratch themselves can contain free glutamate and then all of your aged cheeses. For example, Parmesan cheese which we all love, the reason we love it is because of the free glutamate that’s released as part of the aging process. There are some specific foods like that that also must be avoided in addition to the food additives. You answered it actually, it was in there. A segue from that is, why do food companies add free glutamate to foods? It’s to enhance the flavor of foods. Free glutamate acts as a neurotransmitter in our nervous system. It’s actually the most ubiquitous neurotransmitter in our bodies. It plays a specific role in taste. We have neurons in our tongue that help us taste food. We know that some of those neurons tastes glutamate. The glutamate industry has coined that umami, the flavor. It is a flavor we all love. Not only do we love the soy sauce, but we also love it when they add free glutamate to a product. It enhances the flavor of the food. Free glutamate is the most ubiquitous neurotransmitter in our bodies. It’s so interesting that they have taken something that naturally occurs in the body, probably the body and the body does have its own way to stabilize these types of things through feedback lubes, but they have to leverage that to make things more palatable, which is interesting. One of the things with people with chronic pain is one of the ways they get this anesthetic effect is they eat. Foods that typically are salty, sugary, or like you said umami are things that make people feel good. It’s interesting, they take a good thing and take it to the level of something that’s not good. There’s bound glutamate that comes naturally in food, don’t worry about that because people sometimes get freaked out when they hear that it exists nationally in a steak. There’s free glutamate which is being added. MSG is the most well-known. There’re other names, but sometimes they hide things in hard to find places on food labels. I would say the majority of the time it’s hidden and under a different type of name on a label. The only time you see monosodium glutamate anymore is in things like chips and soup but it’s less frequent. That was a response of the food industry back when Chinese restaurant syndrome became a worry to people and we’re hearing about it in the media. They started using these other forms. An easy way to think about is you want to watch out for things on the label that show you somethings been done to something else. I’ll give you an example, terms like modified, hydrolyzed, textured, isolate and concentrate. A lot of these terms tell you that something has been done and that whatever was done to it many times releases free glutamate. That can signal you that those are things to be avoided. There are also some sneaky places such as natural flavor. The term natural flavor can be used because glutamate naturally occurs in food and proteins. It is a natural flavor and you pull out that glutamate and add it to a product, it’s considered natural. When we read a label, we’re not concerned about natural flavor. It sounds innocuous, but it actually can hide these. Another term would be spices. There are some sneaky terms that are a little harder as well. Hydrolyzed proteins are the biggest ones. When you start to look at the nutrition label rules and you start to learn about them, trans fats are an interesting one where I believe the rule is if there’s less than a gram of trans fats, on the label they don’t have to list it. It’s taking people quite a while to pick up on that but things like glutamate, which are “naturally occurring” they don’t tell people about it. With the amount of cognitive deficits that people have and nervous system problems, we need more education around us. I’m glad that we’re talking about this. Are there any other dietary factors when it comes to chronic pain that people should be aware of beyond glutamate? There are some nutrients in the diet, which directly interact with glutamatergic neurotransmission and can play a protective role. Diets that are low in these can potentiate that glutamatergic neurotransmission with pain. These would include things like Omega-3 fatty acids and vitamin B6. Magnesium is a very important one. You have other things too. All of the antioxidants that are in your diet are very important. When you have excess glutamatergic neurotransmission, you’re in a state which we call excitotoxicity that leads to oxidative stress. When you hear about free radicals in your diet, that’s oxidative stress. The only way we have to counter that is through the antioxidants that we consume. Those become very important as well. Lastly, Vitamin D is also a big player as well. That are some great vitamins and minerals that people can think about when they’re looking at their food choices, looking at labels and working through their diet. I don’t know if your research has gone this deep. I don’t know if I’ve seen in your research and maybe someone else’s, is there a certain amount of glutamate that can be measured? Either in someone’s diet or by a lab test to see where they fall or is it that the neurotransmitter is so complicated that we don’t have the technology for that yet? It’s not that we don’t have the technology. When you measure it in diet, what ends up happening is you get a total amount that includes the bound glutamate and the free glutamate. It’s hard because we don’t differentiate between those two. When it comes to measuring something in the bloodstream, you can measure blood glutamate but unfortunately, that doesn’t always mean anything. I’ll give you an example. Usually, our blood-brain barrier protects us so that when we consume high amounts of glutamate, it doesn’t go up into our brain. We noticed that with chronic pain patients that are sensitive to glutamate, they tend to have onset of symptoms following one of three things usually. That’s a head trauma, some chronic excessive stress or infection. All three of those conditions can cause permeability of the blood-brain barrier. It could be that they’re becoming susceptible because of that. If that’s the case in those individuals, they could have the same level of plasma if we measure the blood of glutamate. 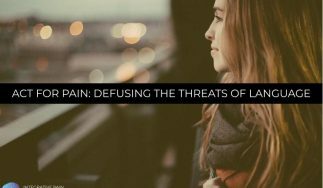 It’s affecting them and it’s not affecting someone else who has an intact blood-brain barrier. That’s where it becomes difficult is, yes, you could measure it but what does it mean? With TBI it’s very common to have “leaky brain” or permeability of the blood-brain barrier, for that person the threshold may be quite different. That would be a person that would be more likely benefit from the diet I created. When we start to look at neurotransmitters, is it that the glutamate levels are high in relation to GABA or does it cause GABA to decrease at the same time? There can be problems with GABA decreasing. I’ll give you an example, if you have a Vitamin B6 deficiency, you will not convert glutamate to GABA. Glutamate is the precursor molecule for GABA and in that case, that person is going to be more likely to have high glutamate and low GABA. We want this to be more balanced. When we have an excitation, we also have the inhibition going on. Besides that in this case, you can have excessive glutamate being produced or coming into the brain and the brain’s not necessarily making enough GABA to counter it. I don’t think a lot of practitioners quite put the connection between glutamate and GABA. The relationship between the two and how important it is when it comes to modulating your nervous system. What is your PhD study find with regard to changing diet and people with chronic pain? When we took fibromyalgia patients and put them on a diet low in glutamate, we had an 84% of subjects improved. Improvement was defined as greater than 30% of their symptoms going away. To put that in context, if I was a drug company and I was putting a drug out there to treat pain, all I would have to do is prove that I reduced someone’s pain by 30%. I not only was reducing pain but was making 30% of their symptoms go away. These are individuals that on average at 21 symptoms they were suffering from, including things like we talked about the cognitive dysfunctions, sleep problems, you name it. For these individuals, that was pretty profound. What we did was we put them on a double blind placebo controlled crossover challenge. At one point, they’re receiving glutamate and at the other point they’re receiving placebo. I don’t know what they’re getting and they don’t know what they’re getting. What we thought was, “If I can make your symptoms go away or some of your symptoms go away on this diet, I should be able to cause them to come back if I challenge you with glutamate and not placebo.” That’s exactly what we found. Chronic pain patients that are sensitive to glutamate tend to have an onset of symptoms – from head trauma and some chronic excessive stress to infection. We found that the symptoms significantly returned and those who were challenged with glutamate and not with placebo. I had some things that were quite shocking that occurred in that study as well. I’ve published a case report on a man who was in the study who had OCD, for example. He not only had been suffering from fibromyalgia but OCD. He had the OCD symptoms for 39 years in every single day of his life. Medications would not touch them. When he came back at the end of the month on a diet, he said, “My symptoms are gone.” I said, “All of your fibromyalgia symptoms?” He said, “Yes, but also my OCD symptom.” He was so excited and I at the time knew nothing about OCD. I had never looked at that literature. I might need to delve into this literature. Is there a reason? Has glutamate been implicated in this? Sure enough, glutamate has been implicated in so many conditions. Not just in chronic pain and these comorbid symptoms but in a lot of psychiatric conditions as well including depression, anxiety, OCD, bipolar disorder, schizophrenia, ADHD, a lot of symptoms and a lot of different conditions. We saw some exciting stuff like that as well. 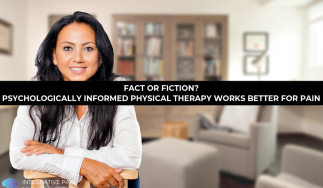 There are practitioners who read this blog who understand scientific principles and research and there’s the public who are trying to get great information. You have one of the few studies that I’ve read in the nutrition world that they’ve done a double blind randomized RCT. That’s very rare in the nutrition world. When I read your study, I’m like, “This is fantastic because people are blinded here. They’re given a placebo as well. It’s one of the more thought out studies and thoughtful studies I’ve seen in the nutrition world when it comes to fibromyalgia and diet. There are studies out there that looked at diet and fibromyalgia, but they lack a control group. When you lack a control group then you could say, “We don’t know if it happened by chance or if it was potentially a placebo effect.” You modified someone’s beliefs, but you went above and beyond that. It’s key work. I thank you for doing that work. How has that informed your research and the things you’re working on now? Because glutamate affects more than chronic pain, there are other conditions that this diet could help. We’re starting in collaboration with some people at Oregon Health and Science University looking at multiple sclerosis. I have some work with Children’s National Medical Center. We’re trying to test the diet in children with epilepsy. Epilepsy is mediated by glutamate. We have opportunities in migraine, which we haven’t gone down that road yet. Migraine is where we should have right now because we see a lot of comorbid migraine. Migraine responds so beautifully, not only do people get better on a diet, but you challenge someone who has migraines with the glutamate and many times they have a raging migraine. There’s definitely other work as well. I have a grant from the Department of Defense and I’m doing a Gulf War Illness Research Study. These are veterans who came back from the Gulf War and they have symptoms very similar to fibromyalgia, but because they were all having the same exposures in the Gulf War, it’s labeled differently. We’re seeing some great results so far. It is the same design as what I mentioned. There’s a double blind placebo controlled portion to it and that’s still blinded so I don’t have those results yet, but the pre-post results have been exciting. You’re using a glutamate-free diet for Gulf War veterans with PTSD. They all have PTSD. We are not recruiting based on the PTSD, but they do all have PTSD as well. Has there been an intervention like that out there yet that is much of this study? How many subjects are in that study? We have 40. It sounds like a small amount but it’s a very expensive study. We’re flying people in from across the country and have to house them. We’re doing MRIs on every single participant and things like that add to the cost of the study. Because of that double blind placebo controlled portion, when you do a crossover design like that, you have more statistical power. It allows you to have a little bit smaller sample size. What steps are you taking as far as helping the participants stay on the diet? Diet involves behavior change, which can be challenging. How do you support people through that? They go through a training and I’m in contact with them throughout the month as they have questions. They have me as a support system throughout. It’s interesting with chronic pain. Usually our subjects when they get better, they see results by the end of the first week. They continue to get better over the month. Because they start to see results and they’re feeling better, it is very reinforcing to what they’re doing. I think that really helps as to just an average person saying, “I want to eat well,” and then how motivated they are to do it. When you’re eating something good for you and you feel better and then you need something bad for you and you have pain, it reinforces that behavior. They’re on that diet for 30 days. What can they eat? What do you advice? A lot of times we focus on, “Don’t eat this and don’t have sugar,” but what do you give them to eat? What does their meal plan look like? Their meal plan focuses on whole foods. There are lots of options available to them. We encourage a lot of fruit and vegetable consumption and we emphasize different colors being consumed because some give them antioxidants. We give them a list of foods highest in every micronutrient. What that does is they can come through this and they start to see patterns. Some of the healthiest foods you can include in your diet, what you start to see as things like green leafy vegetables, meat, fish, beans, nuts and seeds. You start to see this pattern of these healthy whole foods that are highest in every nutrient. By doing that, it helps them have lots of things that they can incorporate into their meals and their planning to make sure that they’re getting everything that they need. How many days a week are you recommending fish? I love to recommend fish a couple times a week at least. The problem with fish is the cost. I recommend that people do not consume farm-raised fish, which is the cheaper fish. I recommend that they get wild caught and that ups the cost of that. I have participants in my study who live on the coast, they fish so they have access to fish multiple times per week and that’s not a problem. I have other people that live in the center of the country and they can’t access fish easily. It’s very expensive. I try to encourage at least once a week. Omega-3 fatty acids are very important when it comes to protecting against excitotoxicity caused by glutamate. I personally love it and I wish our seas were cleaner because there are toxicity challenges to the seafood we have. If you look at traditional Mediterranean diet study, they recommend seafood two to three times per week. There are some studies starting to roll out around chronic pain that may be four to five might help those patients even more, probably because of the fatty acid content. Omega-3 fatty acids, in particular, are very important when it comes to protecting against excitotoxicity caused by glutamate. One way I counter that is I recommend cod liver oil, which sounds disgusting to people. It’s been used for years, the Vitamin D supplement, often by Scandinavian countries but I recommend a specific type of cod liver oil. It has natural lemon flavoring in it. It is also higher in Vitamin D. It allows them to get all of their Vitamin D and their Omega-3 fatty acids, that they can add to yogurt or something they’re eating and they can get it without having the fish consumption. It’s a workaround. On the diet I created, gelatin is not allowed. You can’t have anything in a gelatin capsule and a lot of people take fish oil supplements in gelatin capsules. Some of those are not regulated and they’re actually full of mercury, especially the cheaper ones. Cod liver oil, the one I recommend, they make sure that there’s no mercury in the product, which makes me feel better in that standpoint too. I appreciate the delivery of that because the Vitamin D with the cod liver oil, vitamin D is a fat-soluble vitamin. Many people are taking Vitamin D supplements with a glass of water and I’m like, “That’s not really optimal. If we’re going to do this, let’s try to do this the right way.” That’s a great delivery method. As you’re rolling through that list of foods that people can eat you did not mention grains. I want to circle back to that and see what’s happening in the study. There are whole grains that are allowed on the diet. One thing I point out to people when you have this list of foods, highest nutrient that there’s no bread on that list. There’s no cereal from the cereal aisle. You do see things like oats for people to have for oatmeal. What I usually do is I steer people toward the gluten-free grains. I’ll have brown or wild rice in there, quinoa and oats. Those are the main grains I have people go to. We’ve excluded bread on the diet. I don’t tell people they can’t have it, but I mention that. I try to get them to have some whole grain versions of these starchy foods. A lot more yams for example, than trying to have some of the bread type things that people are eating. Is it a gluten-free diet? It is not a gluten-free diet. If someone comes in and they are gluten intolerant, they can continue being gluten-free, but we do not make everybody go gluten-free. I will say though, a caveat to that outside of my study is that there are tons of people who are gluten intolerant. We are seeing a huge rise in the number of cases of celiac disease and gluten intolerance. There’re some real concerns I have about the amount of pesticides, herbicides specifically added to grains. A lot of people when they think pesticide exposure, they think fruits and vegetables and they ignore the grains. That’s another reason that I try to point that out to people and try to move them a little bit away from the grains. It’s interesting that wheat has not made it onto the list of the toxic fifteen foods that come out every year. They go through fruits and vegetables and they’ll list like, “Don’t eat an apple because it’s sprayed,” but never mentioned wheat. When you look at the numbers, it’s unbelievable and it’s difficult to find organic wheat and organic bread because it’s expensive. I tell people that I have a pretty significant gluten intolerance. I don’t do so well with gluten here in the States, but if I go to Europe and I have pasta, it’s a completely different experience for me. It may be because I’m on vacation and I’m a little more relaxed. However, I don’t believe it’s that actually. I believe it’s the toxicity. You’re not the first person to tell that to me. I have a lot people find that they do better when they’re abroad and that would make sense because they do have tighter regulations on the herbicides in other countries. This has been a wonderful conversation for me. It has brought full circle like me spending an evening PubMed trying to find research that supports some of the things in my book and years later, I’m so happy to connect with you. I think the research you’re doing is incredible. I want to thank you for it because it helps inform a lot of things that practitioners are doing in their practice. How can people learn more about you, your research and everything about you? The easiest way to do is if they go to American.edu, they can look me up. There’s a link to my lab as well. We’re actually revamping the lab website. We’re going to have links to all the different studies that are going on. That’s on its way. Unfortunately, I’m bad with some of the Twitter accounts. I’m not on Twitter, so I apologize. It’s www.American.edu/cas/Faculty/Holton.cfm, you can find Kathleen there. Thanks so much for being on the show. I want to encourage everyone to share this episode out with their friends and family on Facebook, Twitter and LinkedIn. If you’re new to the podcast, welcome, make sure you hop on over to DrJoeTatta.com/Podcasts. On the right-hand corner is a little box where you can enter in your name and your email address and I’ll send you the latest episode of the show to your inbox each and every week. I want to thank Kathleen for sharing this great research on glutamate and how diet affects pain. I will see you on the next episode of the Healing Pain Podcast. Dr. Kathleen Holton, PhD is an assistant professor in the department of health studies at American University. She has a combined background of epidemiology, nutrition, and neuroscience. Her research examines the negative effects of food additives on neurological symptoms. As well as the positive protective effects of certain micronutrients on the brain. Her main research areas include how diet affects chronic pain, Gulf War illness, neurological disorders, fatigue, and cognitive dysfunction. She also studies how diet affects ADHD.